Ah, the time word scribblers from across the country converge to spend three tumultuous days swarming around a crazy-carpeted venue, wearing our most professional clothes and most uncomfortable shoes. When we stain our hands scribbling notes in classes, workshops, and sessions. When we buzz on four hours or less of sleep. When we shakily tell agents and editors about the manuscripts we’ve poured blood, sweat, and years into. When we overtake a hotel and consider everyone with a name tag a kindred spirit, regardless of whether they write suspense or romance. 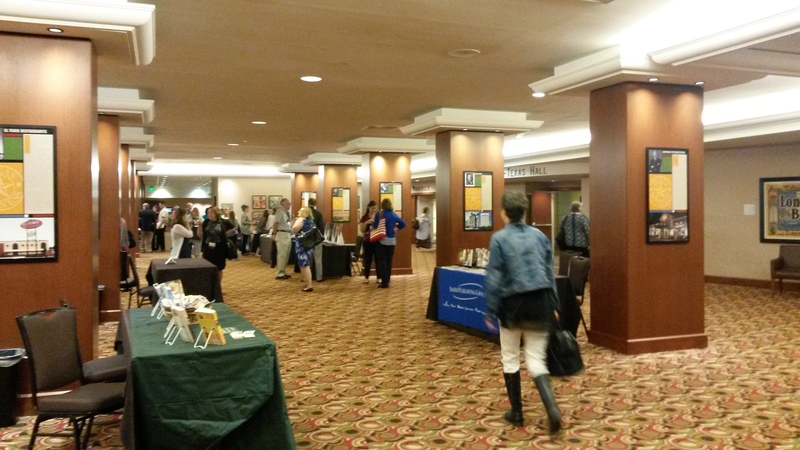 Yes, I joined the ranks of that sort last month at the annual American Christian Fiction Writers conference in Dallas, Texas. 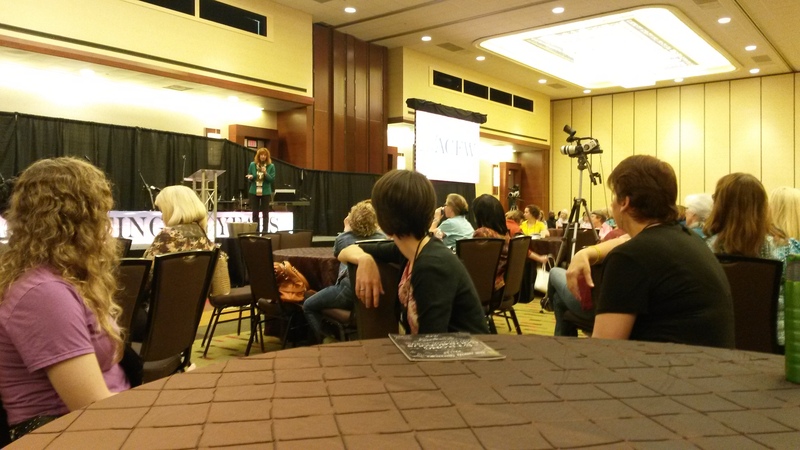 It was my first ACFW conference and definitely not my last. While conferences require eleven months of work and take more mental and emotional energy than we’d ask of our protagonists, the time is always invigorating. Writing is a lonely job, so any time we writers can get out of our offices and meet with fellow ink-spillers who “get” each other, it’s a treat. No weird looks. No bemused “That’s nice, dear.” No one suggesting professional counseling. The basement, where no normal dare dwell. Writers create worlds from nothing. Give personality to people who do not exist. Research details that bore geeks. Deep down, we’re not what the world would call normal. We’re weird. But writers get each other, and that’s the weird I love. Enjoy what you see here at The Empty Inkwell? Please consider signing up for my newsletter or follow me on Facebook or Twitter. Meagan, you just keep being weird & I will keep on trying to understand. I like this plan! Thanks for stopping by and reading, Francis.